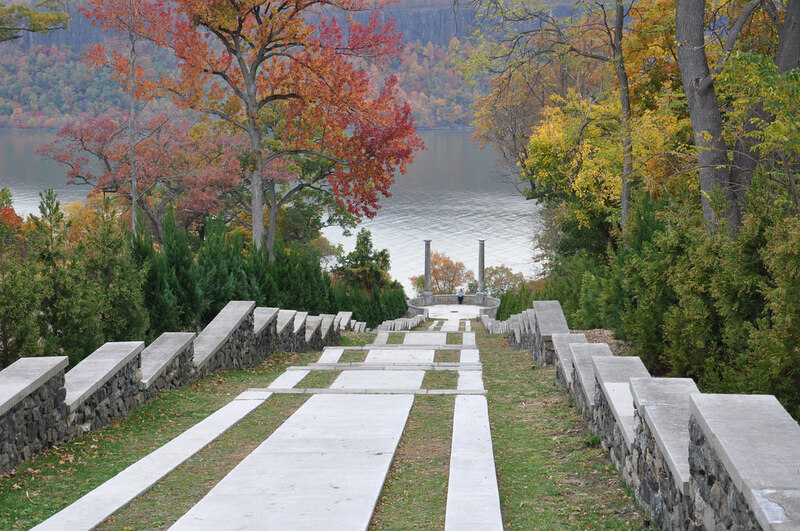 The Untermyer Gardens Conservancy is a non-profit organization which is collaborating with the City of Yonkers to facilitate the restoration of Samuel Untermyer’s gardens in Yonkers, New York. 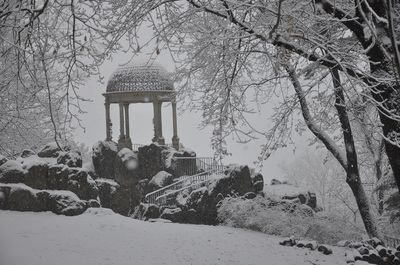 Untermyer Park and Gardens is a City of Yonkers public park. In 1899 Samuel Untermyer purchased Greystone, the former estate of Samuel Tilden. In the forty one years Untermyer owned Greystone, he transformed the gardens and greenhouses into some of the most celebrated gardens in America. 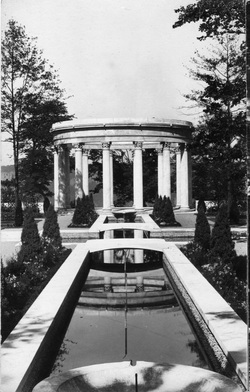 After expanding the estate through property purchases to the north and east of the original estate, he hired Beaux Arts architect Welles Bosworth to design gardens around 1916. 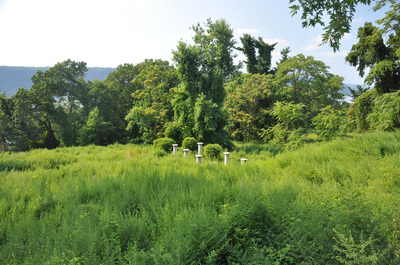 These gardens sprawled over 150 acres overlooking the Hudson River and were maintained by 60 gardeners and supplied by 60 greenhouses. 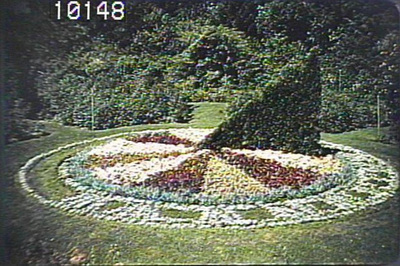 It was open to the public on a weekly basis during the 1920’s and '30’s and for special events, including displays of his famous chrysanthemums and tulips. Thirty thousand people visited it on one day in 1939. Upon his death, the gardens were left in limbo while the estate was settled and a plan to care for the gardens determined. 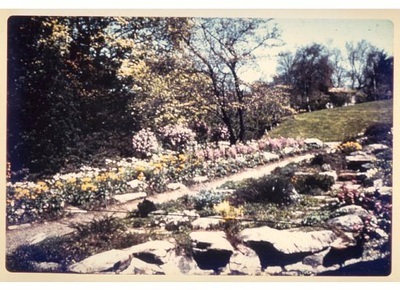 A core part of the gardens was acquired by the City of Yonkers in 1946. In the 1990’s, another parcel was acquired, bringing the total today to 43 acres. While the core is intact, much of the gardens are in ruin. 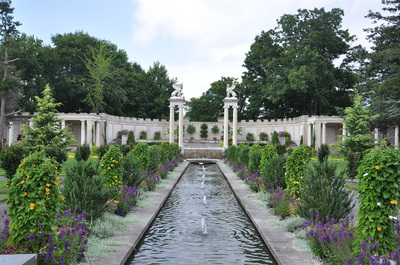 In partnership with the Yonkers Parks Department and input from Marco Polo Stufano, Founding Director of Horticulture at Wave Hill, Untermyer Gardens is once again dazzling the garden-loving public with its brilliant design. Funds raised by the Conservancy are being used to augment existing Parks Department personnel at the gardens with employment of additional horticulturists. Timothy Tilghman has been working full time in the gardens since June, 2011 and joined by Jessica Norman in 2013 and Drew Schuyler in 2016. In addition, three seasonal gardeners, Stewart Molina, Luis Vilchez and Liz Dreeben are working in the gardens. In addition, the budget for new plantings has been greatly increased from its previous level. An ambitious program of planting is now underway.